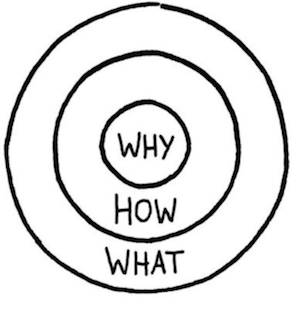 Simon Sinek - Author of “Start with Why” and his Ted Talk (shorter version). Several people who speak into my life mentioned this directive to me in the past several months. Molly Rockamann, the EarthDance Founder and Executive Director and Nancy Williams, the No More Empty Pots Founder and CEO both told me this was what I needed to understand first. Why was this inclusive urban farm for specially-abled persons needed. As I read the book, pondered the idea and talked with others, I found out that is wasn’t WHY the farm but WHY ME? Everyone wants to contribute feels like the closest WHY I can conjure at this point but is contributing outside on a farm, with whatever weather elements are present (writing this during an ice storm) everyone’s idea of contributing? I think about my sister and her business, a dermatology practice in southern California. I know WHY she does it, she knows how to spot problems and find solutions that make people feel better about themselves. Sit in her chair under her care and you’ll feel her WHY. Actually, proximity isn’t even that important. Grandchildren of friends have been blessed by getting insight on skin problems from her on texts. Dixie’s WHY leads her. I meet with my strategist this weekend, I trust her process. I’ll be toting my large white papers of my thoughts and ideas that I’ve jotted down as I read Sinek’s book. Speaking of, better continue reading it!